Please click on a topic to view the questions in that topic. Once you click on a topic you will see a list of questions. Click on a question to see the answer. The Basics - answers the basic questions of who, what, when, where, why and how much. The Training - answers to questions regarding our training methods and class offerings. The School - answers to questions about our affiliations, our history and our instructors. Getting Started - answers to questions regarding getting started in training. This topic contains answers to questions regarding getting started in training. You can start at any time. If you begin in the middle of a month we prorate your tuition accordingly. Can I participate in Aikido classes and not attend Ki classes? We discourage this. In the Ki Society we believe the main benefit of training is mind and body co-ordination and the use of Ki in daily life. In fact, all rank in Aikido requires certification in Ki training. Do I need to purchase a uniform to start practicing? No, a traditional gi is not required. Students can wear loose and comfortable clothing such as sweats. We do not, however, allow the wearing of shorts. We sell uniforms at a substantial discount. There are also a number of good sources on the internet. The proper uniform is a white Judo-style gi. Why are etiquette and bowing part of the training? We are a traditional dojo. This means that we follow the same protocols as Ki Society headquarters in Japan. Most martial arts include some form of etiquette as part of the training. In this way we show respect for each other and for the training itself. The Japanese word "sensei" can be loosely translated as teacher. In Japan anyone who teaches anything is called sensei. The word sensei is composed of two characters - sen, meaning previous or before and sei, meaning birth or life. It is a respectful term generally used to address your instructor in Ki and Aikido classes. How do I earn rank in Aikido? Rank is attained in our dojo by taking tests. 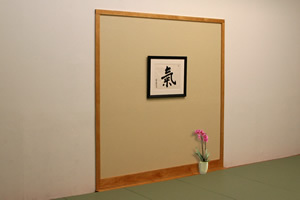 An Aikido test involves performing Aikido techniques with a partner in a formal setting before your instructor or a group of instructors. Aikido rank requires the prior attainment of rank in Ki Training. The Japanese word "dojo" generally means a training place.The word dojo is composed of two characters - do, meaning the way and jo, meaning place. The literal translation of dojo is "a place of the Way". This topic contains answers to the basic questions of who, what, when, where, why and how much. Can I visit your dojo? By all means. 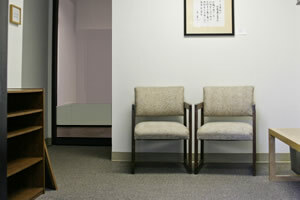 We welcome visitors to all of our regularly scheduled classes. If you notify us in advance we would be happy to meet with you before class and chat about the training. Yes, we encourage this. It is difficult to get a feel for the training by just observing. We will ask you to sign a release form before you participate. Tohei Sensei often says, "You can try and describe sugar to someone, but until they taste it they do not understand the meaning of sugar is sweet". The tuition varies depending on what classes you would like to attend. Tuition for training is paid on a monthly basis. There is no contract or long term commitment required. There is also a one-time initiation to join the Ki Society. We are located in Laguna Hills, just off the freeway exit at Oso Parkway. 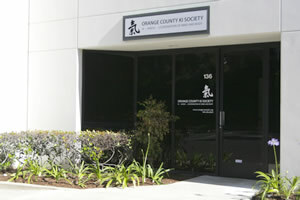 Our dojo is located in the Saddleback Business Park. Our address is 26941 Cabot Road #136. Adult Ki and Aikido classes are conducted Monday, Wednesday and Thursday evenings. Our Kiatsu group meets on Wednesday evenings and our children's Aikido classes are on Monday, Wednesday and Friday in the early evening as well as Saturday mornings. A women-only class is held on Friday mornings. We also offer advanced Aikido classes and occasionally conduct weekend seminars. Ki is your living power. When mind and body are used together our Ki is strongest. What personal benefits can I expect from training? When people think of Aikido they seem to conclude that the primary benefit is the ability to defend oneself. This is a benefit of training, but we do not consider it a primary benefit. Improved health is much more important. By improving your ability to relax and manage stress you move through life's situations more easily. Improved concentration leads to more effective learning and communcation. We use our mind and body in everything that we do, so improving your mind and body co-ordination has an impact on all aspects of daily life. All martial arts have value. Aikido differs from most in that there is no competition. Aikido movements do not involve punching or kicking. The emphasis is on blending with your opponent's attack rather than colliding with it. Because there is no collision or fighting Tohei Sensei calls the result "absolute power". This is opposed to "relative power" where you can only overcome your opponent if you have superior strength. How does Ki-Aikido differ from other types of Aikido? Ki-Aikido (formally called Shin Shin Toitsu Aikido) is unique in its emphasis on Ki movement and the development of mind and body unification. In most Aikido schools learning involves observing and attempting to replicate movement. We always teach the underlying concept and then the application of that concept. This topic contains answers to questions about our affiliations, our history and our instructors. What kind of organization is your dojo? We are a non-profit, all-volunteer organization. Instructors are not compensated and student tuition is used to defray our expenses, mostly our facility costs. What organizations is your dojo affiliated with? Our dojo is recognized by Ki Society headquarters in Japan. We are part of the Northwest Ki Federation, which is headquartered in Portland, Oregon. Who issues the ranks that your dojo members earn? The Ki and Aikido ranks issued by our dojo are authorized by Ki Society headquarters in Japan. Ki Society headquarters records and issues all ranks in Ki training and all Aikido dan ranks (black belts). What is the lineage of your dojo? The founder of Aikido was Morihei Ueshiba, often known as O-Sensei. Koichi Tohei Sensei served as Chief Instructor under O-Sensei for many years. O-Sensei also awarded him with an unprecedented 10th degree black belt. Several years after O-Sensei's passing in 1969, Tohei Sensei founded the Ki Society. Tabata Sensei, our Federation Chief Instructor, has been a close student of Tohei Sensei's for over 50 years. Our dojo's head instructor has been a close student of Tabata Sensei's for 40 years. He has also lived in Japan and trained extensively under Tohei Sensei directly. Who are the instructors in your dojo? We currently have six authorized instructors and five teen assistants who help in our children's classes. All instructors continue their personal training in addition to their roles as instructors. How is my tuition used by the dojo? The tuition our students pay is used to defray expenses, most of which are related to our facilities. We are a non-profit, all-volunteer organization. Instructors are not compensated. This topic contains answers to questions about our training methods and class offerings. What is the difference between Ki and Aikido classes? The main difference is the level of physical activity. Ki classes focus on using mind and body properly. We do stretching and exercises to practice natural movement. Aikido, on the other hand, involves throwing and falling. I'm not sure my health will allow me to train Aikido. What do you suggest? Many of our students begin by taking Ki classes only. Once they feel more confident in their abilities they join the Aikido classes. How are beginners integrated into the classes? First, in the face of our own potential, we are all beginners. In fact, a beginner's mind set is something we try to maintain, never saying "I know that". We generally mainstream beginners in our regular classes. More experienced students help beginners learn the ropes. Helping others is an important part of our training. How old must a child be to join the Children's Aikido class? Generally, we say that a child must be at least 4 years old to participate. Children can begin earlier if they can listen and follow instructions, however we do not change diapers. Classes vary in length from 30 minutes for your youngest students to 1 hour. What if I am only able to attend classes once a week? That is not a problem. We all have scheduling conflicts from time to time. We do find that students make more progress when they attend twice a week. One day a week is certainly better than no training at all! I am currently practicing another martial art. Can I join your dojo? Yes, you can participate in Ki classes. If you would like to pursue Aikido training we ask that it be the only martial art in which you are actively involved. Tohei Sensei has often said, "Chase two rabbits and catch none." Do you offer classes for teenagers? We do not have a separate program for teenagers. Young people 13 years of age and older are encouraged to join our Adult program. Ki does not flow well in a person who is ill or injured. Kiatsu mobilizes a person's natural healing processes by restoring the flow of living energy. Kiatsu improves circulation, reduces tension, and enhances overall health. It also helps reduce or eliminate pain, stiffness, and swelling caused by stress or minor injury.